The nexus board either plugs directly into the back of the ClearNav or can be mounted behind the panel and connected to the ClearNav via a low-profile extension cable. 0.3A at min brightness, 0.7A at max. VGA display for bright sunlight conditions. Data upload and download with a USB stick. 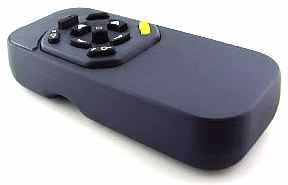 Full-function handheld 9-button remote control with a standard “up-down-left-right-select” lay-out. Purpose-built integrated hardware and software system. Moving map with selectable layers. Turbulence does not affect the use of the remote control. TURN AREA TASK optimization with turn point arcs. SUA display, with audio proximity alarms and easily accessed details. All key performance values are displayed in compact strips that border the main screen to avoid frequent and distracting screen switching. 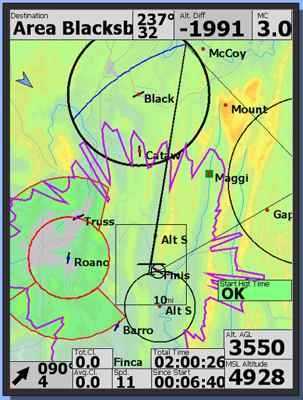 OLC task optimization and flight submission.